'PUBG' war mode returns following a shutdown that came fewer than 24 hours after it's initial launch. "PUBG" war mode, Desert Knights, returns for a second spell following it's disastrous initial May 3 launch. The team deathmatch mode of the popular battle royale style video game, initially released at the start of May, was pulled after fewer than 24 hours of its three-day release due to server issues. According to the "PUBG" help Twitter account, the new game mode had caused server instability and had to be pulled, bringing the event to a premature end. However, the kinks now appear to have been ironed out as the mode returns today for a limited time only. "PUBG" creators Bluehole announced the relaunch via the official "PUBG" Twitter account stating, "War Mode is back! In Desert Knights, 5-player squads drop into Miramar with level three gear and a random crate weapon. The first team to get 200 points wins!" This will be music to the ears of "PUBG" fans, many of which didn't get a chance to try out the exciting new team deathmatch mode the first time round. "PUBG" initially found success as an all out battle royale shooter that charmed gamers with its versatile and compelling gameplay. 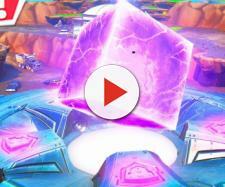 It quickly cornered the battle royale market however, more recently, has been nudged off the top stop by the rival game "Fortnite." The experimentation with new game modes, such as Desert Knights, is no doubt a response to the success of "Fortnite." For this reason, Bluehole and the "PUBG" team at large will surely need to avoid any further technical missteps. The new game mode switches up the usual "PUBG" gameplay by dropping 10 five-person teams into a small circled off portion of the larger battle royale map. Desert Knights not only differs from the original game mode in map size, players are also given a loadout of weapons and are allowed unlimited respawns. Unfortunately, due to the aforementioned technical issues, how these new features play out is still something of an unknown quantity. Luckily for all you "PUBG" fans out there, things appear to be off to a much better start this time round. Gamers on a "PUBG" sub-Reddit are not reporting any major problems and, aside from a few FPS issues, things appear to be running smoothly. War mode is a limited event that will expire at the end of this weekend. Now that the server issues that dogged the first release have apparently been resolved, the message to all "PUBG" fans is clear, get online and enjoy it while you still can.